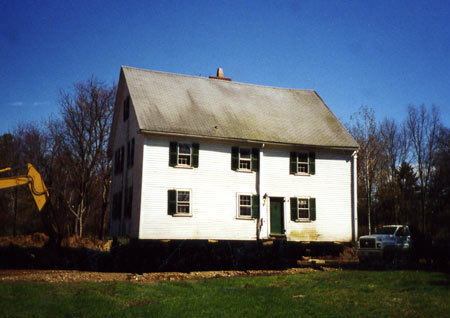 First framed as a two storey - four room house, later expanded with a rear shed addition into a salt-box style, and still later to this full size two storey house. 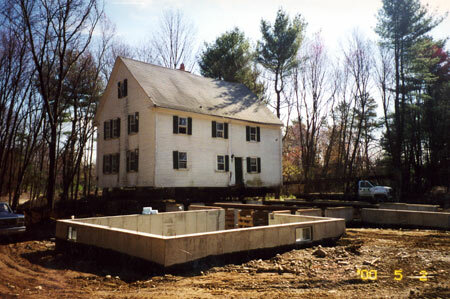 The building was moved back from a busy roadway about 1000 ft. and set on new foundations. 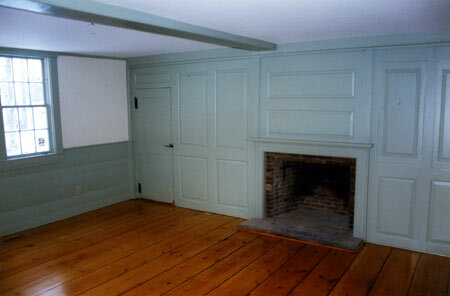 The original house was completely restored and renovated with new mechanical systems. 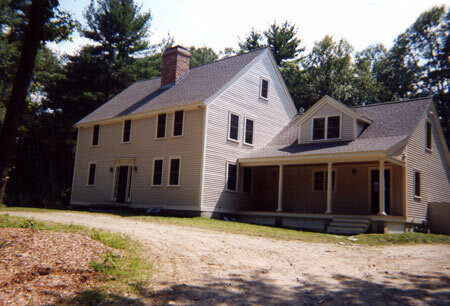 New addition to the side and rear provide space for more bedrooms, a modern kitchen, and bathrooms. 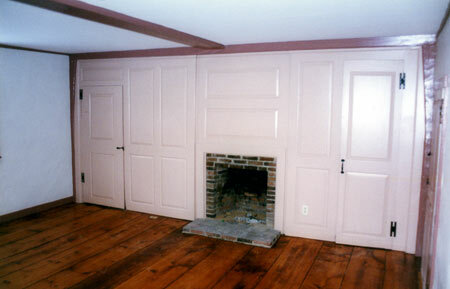 Original raised paneled walls and floor were refinished. 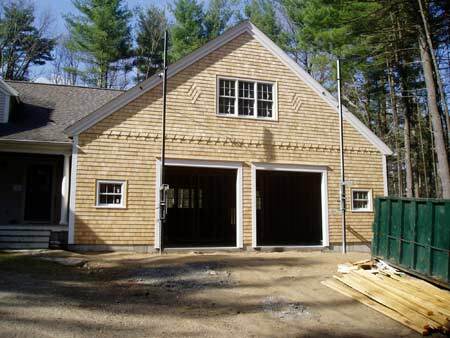 Several years later we returned to build on this barn styled garage and addition.